Page design by Peter Mossong. 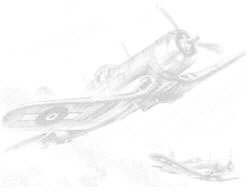 Backgrounds are from drawings by the late Maurice Conly, the Official Artist of the RNZAF. Many of these pages may be slow to load as they are very graphics intensive. NOTE: Unless otherwise credited, all of the photographs and the Maurice Conly artwork used in this site are RNZAF Official and are subject to copyright. I thank Matthew O'Sullivan from the Air Force Museum of New Zealand for the prints used, and the Museum for permission to reproduce them. All material is Copyright and may only be reproduced for personal use. Please contact the Editor for permission to use any material on this site for any purpose other than private use.